Velvet Murals: The Go-To Festive Fabric Becomes The Hottest Home Trend. The Opulent Velvet collection by Murals Wallpaper includes rich, comforting hues and soft textured finishes for your home this Winter. 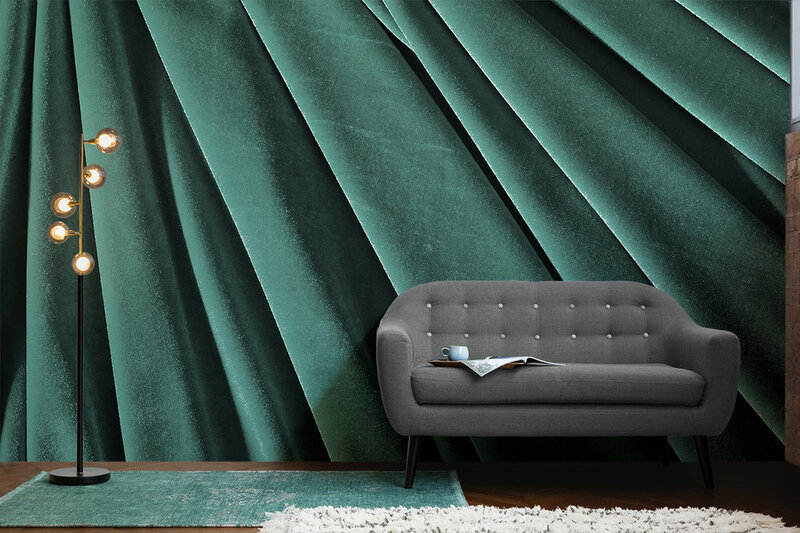 The first-of-its-kind collection by Murals Wallpaper reimagines the staple party piece and transforms it into a stunning wall mural; bringing dramatic colour, sensuality and texture to any interior. The Opulent Velvet murals are too tempting not to touch - with the highest quality printing techniques capturing the depth of colour and radiant shine velvet material is renowned for. The six velvet effect styles within this collection embrace the seasonal palette, with options including a mesmirising emerald green and a warm, dusky pink. To celebrate the flexibility of the fabric, the Murals Wallpaper designs are available with button and cushion details, stylised folds or as flowing drapery and can be resized to suit any room this Winter.